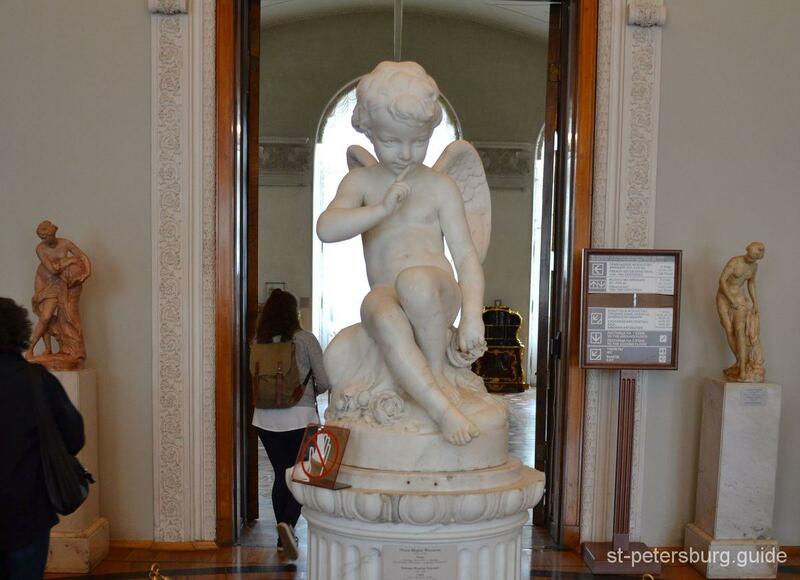 Currently, St Petersburg Winter Palace constitutes a part of the architectural complex of one of the largest museums in the world – the State Hermitage museum. The Palace is situated in the heart of Saints Petersburg. Its southern facade, that incorporates the gates, which serve as the main entrance to the museum, faces the Palace Square while its northern facade is up on the embankment of the Neva River. 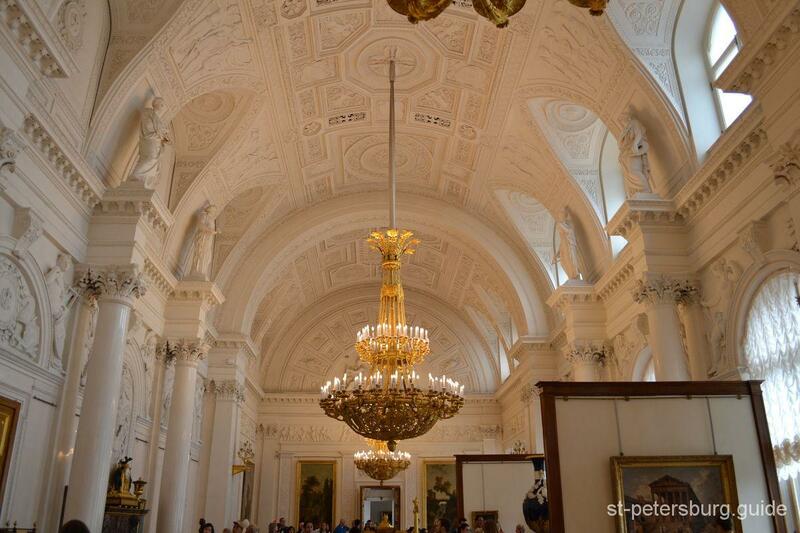 Along with the Winter Palace the Hermitage museum complex includes the buildings neighboring the palace that have been historically attributed the following names: The Small Hermitage, The Large Hermitage, the New Hermitage and the Hermitage theatre. All of these are interconnected by several passages and also by the left wing of the General Staff Building on the opposite side of the square. For 155 years the Winter Palace had been used as the main residence of the Russian royal family, starting with the Emperor Peter the 3rd and lasting until the last Russian monarch – Nicholas the 2nd. Its construction began on the orders of Elizabeth the 1st, the daughter of the founder of Saint Petersburg and the first Russian Emperor – Peter the 1st. While the palace was being built, her royal highness Elizabeth and her court inhabited a wooden version of the Winter Palace located nearby. That is also the place where Elizabeth the 1st passed away in 1761, only a year prior to the completion of the construction of the luxurious architectural masterpiece that we see today, the creation of Italian architect, Francesco Rastrelli. The Winter Palace is shaped as a square with a spacious intrinsic court, and distinct facade lines that total 200 meters (656 feet) in length and 117 meters (384 feet) in width. The height of the Winter Palace that is 28 meters (92 feet), for quite a while was the constant value that determined the height of new buildings being built in the capital. 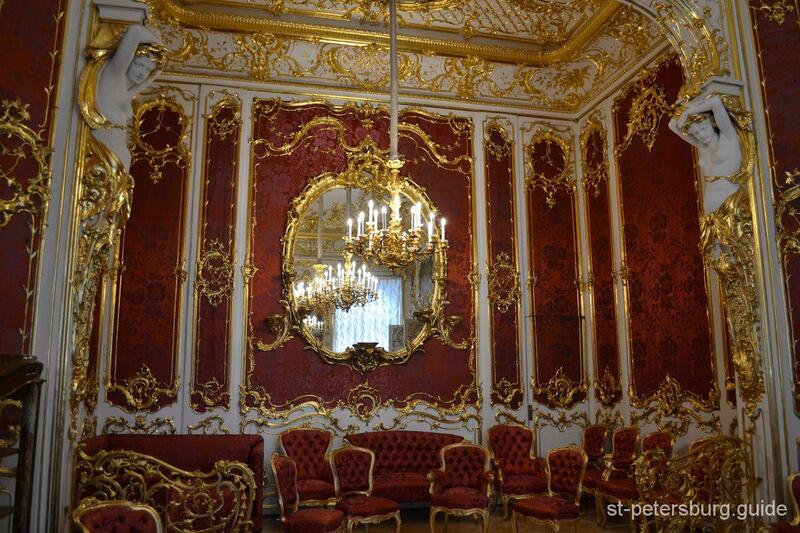 The Winter Palace is one of the brightest, finest, concordant, and simultaneously one of the latest momentums of the High Baroque, the style that strived to show solemnity, circumstance and grandiosity. The monarchy in Russia collapsed in 1917 as the result of The February revolution, and the Winter Palace became a strategic place utilized mainly for meetings and discussions of the Provisional government. However, in October of 1917 it was ceased by squads of peasants and proletariat raised to riot by the Bolshevik political party. Following the revolution, the palace was nationalized and converted to a museum open to the public. 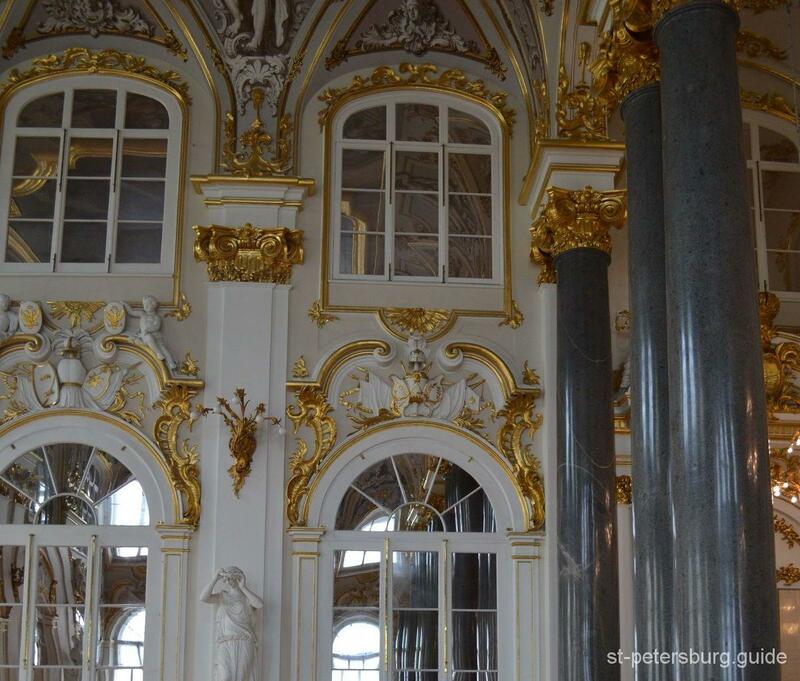 The sophistication of the internal decor of the Winter Palace used to impress the visitors of the Royal family the same way it blows one away nowadays. 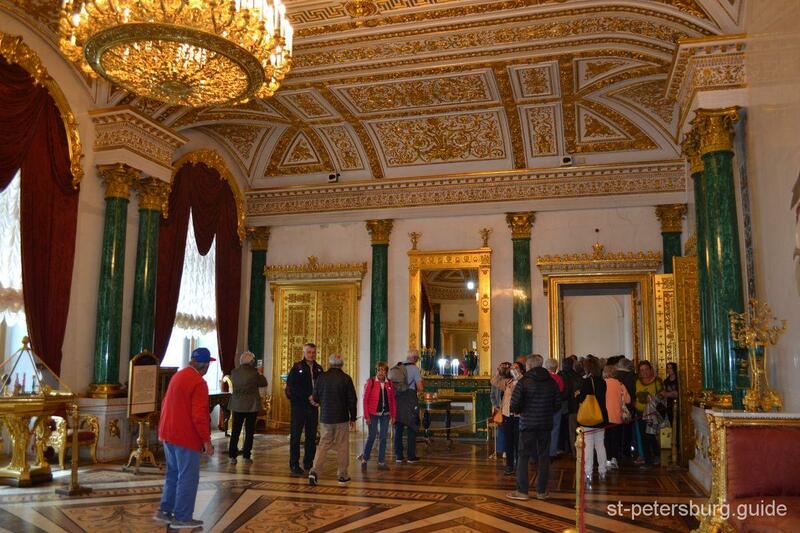 Millions of tourists from all across the world admire and marvel the interior design of the palace. Passing through the various rooms, one has the opportunity to get acquainted with diverse architectural and decorative styles that interested the world in the past one and a half century: Elizabethan Baroque, Stripped Classicism, and Subtle Eclecticism. The highly skilled architects with a delicate taste used rare and precious materials for decoration. Steps, columns and walls made out of the whitest Carrara marble, an excess of gilded objects, sculptures and sculptural compositions, intricate parquet flooring made out of the most precious phyla of wood, picturesque plafonds, silver chandeliers, lamps and candelabra, natural semiprecious stone such as malachite, lazurite (mountain blue), porphyry, aventurine and lots of others. Some of these stones were used in the finishing of rooms, decorate vases and furniture. 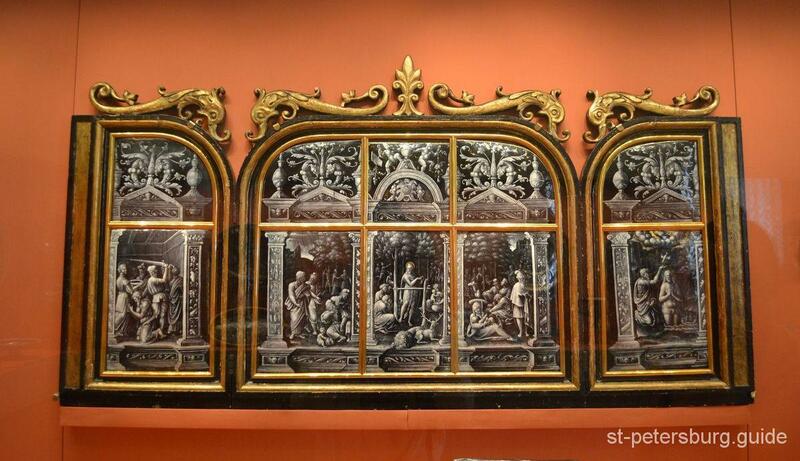 One can also see the burnished specimen of the objects of the decorative and applied arts manufactured by Russian, German, French and English craftsmen, and most importantly, the masterpieces of the western-European painters. It is impossible to recount and describe all of the objects in the museum’s collection; one must go and them by his own eyes! Primarily, do not pick up more than you could carry! The palace is very spacious with the total area of 60, 000 square meters (645,835 square feet). Try to relate and distribute the time that you have available accordingly with the exhibits that you would like to most definitely see. On average, the most general tour takes from 40 minutes to up to an hour, however, it is very probable that you will want to see the entire museum because the most distinct masterpieces and treasures of the Hermitage collection, such as paintings by Leonardo da Vinci, Raphael, Michelangelo, Titian, El Greco, Diego Velázquez, Peter Paul Rubens, Rembrandt, are exhibited in the buildings of the Large Hermitage and The New Hermitage. If that is the case, you will need at least 2 and a half hours. This time is an accurate estimate for you to see the collection only if you do not get lost along the way and do not end up walking around in circles trying to figure out the right entrance or exit to a certain exhibition hall or gallery. Therefore, it is reasonable to assume that it would not be such a bad idea to get a tour-guide. Not only the guides know their way around the museum, but they also know the spots where the most important exhibits are being presented, they also would be able to give you the backstory for each and every masterpiece and will do their best at entertaining you and your travel companions. According to the rules and regulations of the museum, groups of people accompanied by a guide that have more than 5 people are allowed to move only in one direction, i.e. you would have to make a circle to get back and see something again if there is the need. This policy is implemented in order to avoid the halls from being overcrowded in case there is an emergency. The administration of the museum does their best to make visiting the museum convenient for both, the individual visitors and the groups. Despite this fact you do lose the ability to freely move from a gallery to a gallery in case you are a part of a group. From my point of view, forming a group of less than five people is a very smart move that give you a reasonable price and good quality of the visit. I am sure that at this point you have realized that there will be a lot of walking involved, so make sure that you wear comfortable shoes! There are benches and chairs present in most of the rooms in order to give the visitors the opportunity to rest. However, very often the tourists do not have the opportunity to spare any time on relaxing while being on tours, as there are too many interesting things to see and very often there is not enough time! Keep in mind that the ticket grants you only one entrance to the museum, so if you leave the museum, you will have to purchase a new ticket in order to reenter. If you are carrying any luggage, parcels or personal belongings, you have to keep them in a cloakroom during your visit. Also, you may not enter exhibition halls with food or beverages. If you have made the decision to visit the museum as a group or individually and you want to be accompanied by a tour-guide and if you happen to have any questions concerning the tour, or the cost, or directions, the current exhibits, please, do not hesitate to contact me.